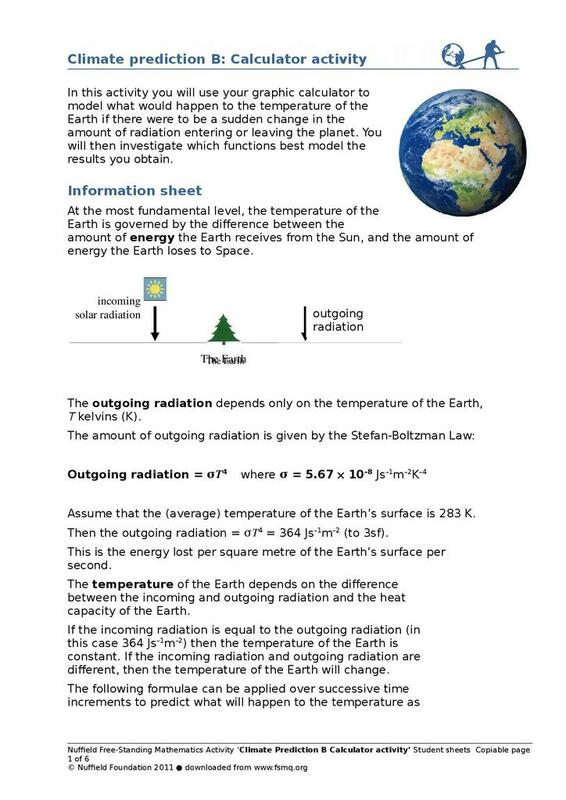 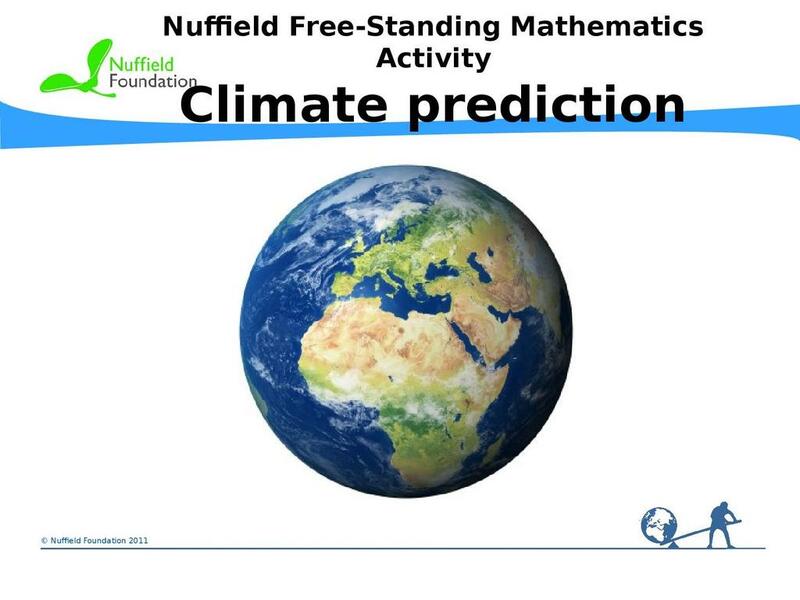 The Nuffield Foundation provides this activity which students use to create spreadsheets that model what would happen to the temperature of the Earth if there were to be a sudden change in the amount of radiation entering or leaving the planet. 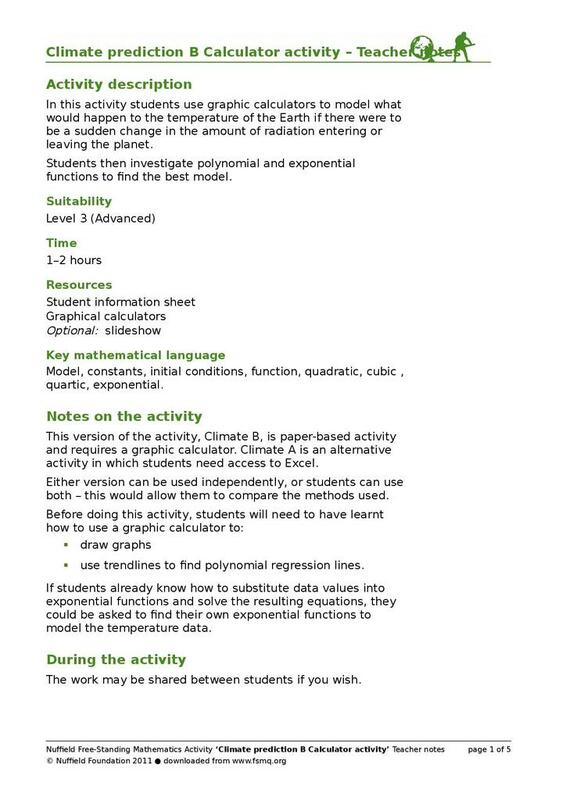 Students then investigate polynomial and exponential functions to find the best model. 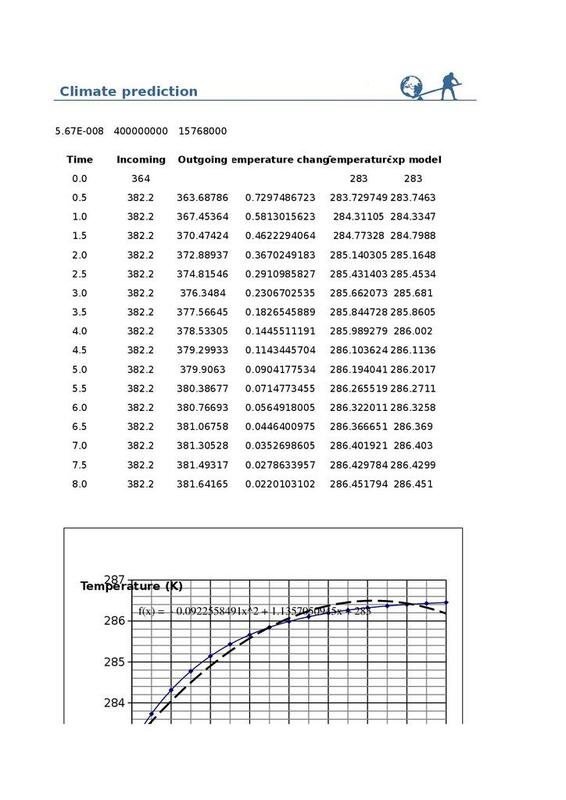 *use trendlines to find polynomial regression lines. 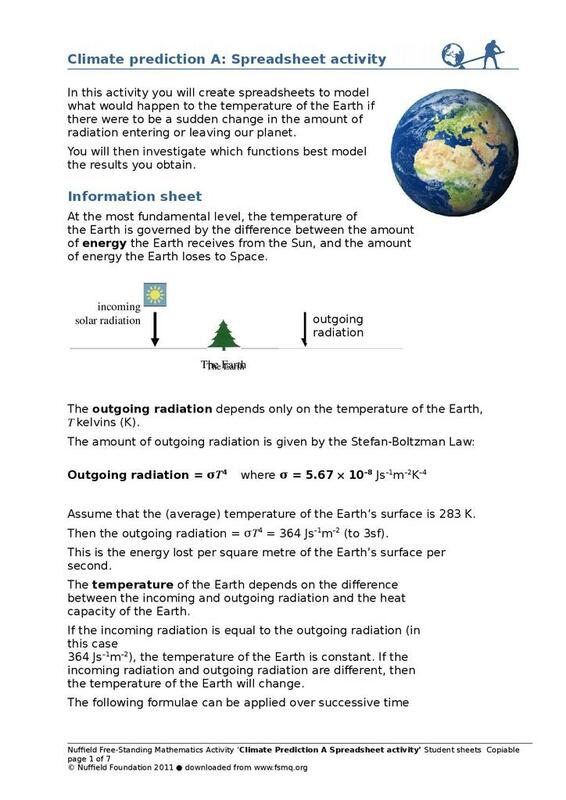 Students will also need to know how to enter numbers in standard form into a spreadsheet. 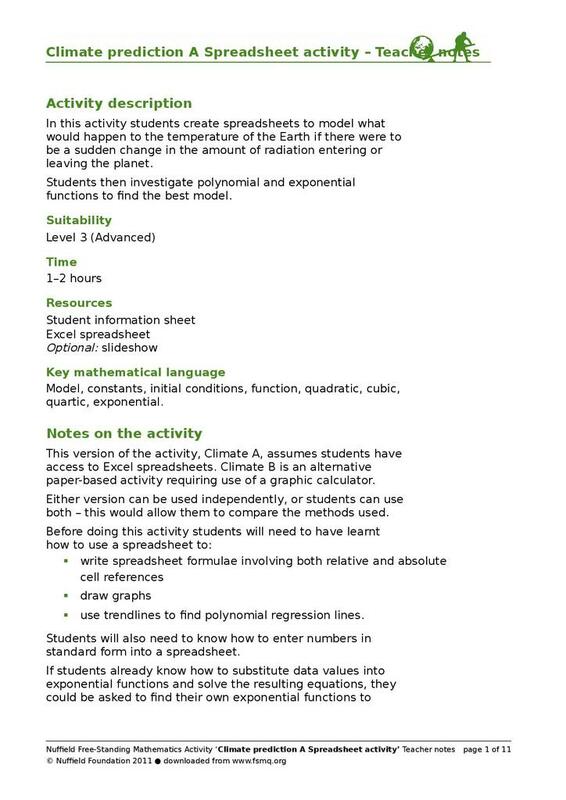 There are two versions of this activity, Climate A assumes students have access to Excel spreadsheets, whilst Climate B is an alternative paper-based activity requiring use of a graphic calculator.